Technics Blending Solutions can be extended to Refinery Systems where feedstocks are homogenized to produce Gasoline, Diesel, and other Fuels. 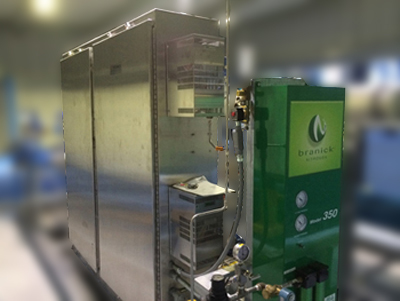 These systems are fully optimized by utilizing precision sampling and analysis systems. These systems leave the Technics facility with the required valves, flow meters and other instruments pre-wired to the integral SCADA system with local operator interfaces. A computer and software package is provided for remote control, monitoring, and reporting. 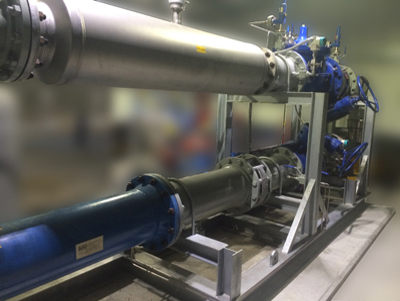 A typical process moves feedstocks through double block and bleed manual ball valves with each stream monitored for pressure. A coriolis meter provides volumetric and mass flow rate levels as well as a direct density measurement while flow control valves throttle the feedstocks proportionally to provide the proper blended product. Prior to injection in the blend header, actuated valves are used to isolate the channels. The homogenization occurs in the blend header by use of a static mixer (alternatively, a jet mixer is used to avoid pressure loss). In-Tank Mixers are a further alternative. Just as critical to an effective blender is the control system. LOGOS provides for precise blending and monitoring of any parameters available to the data acquisition system and the analyzers. 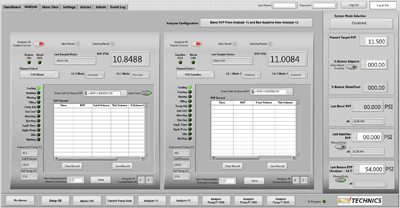 The user can select a ratio control mode or an automatic update based on any of the measured variables. 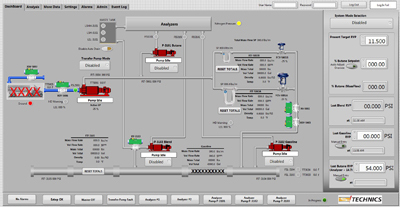 This feature adjusts the ratio of the feed streams such that the blend is optimized for Sulfur or Density or Viscosity as measured by the controller. 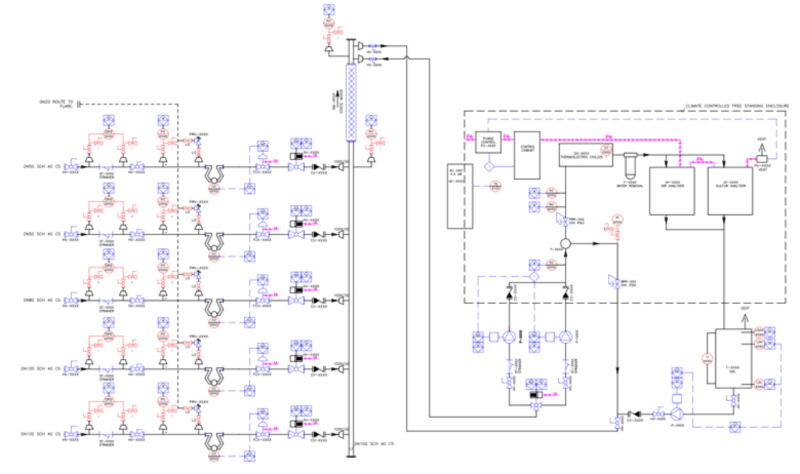 Full interface to the analyzers through Modbus digital communications eliminate resolution loss.